Lexie loves parades. And leading up to their wedding, Mike and Lexie would joke about incorporating their own parade into the day. We all have those inside jokes with our partners.. but it's just something to joke about, right? Not this time! 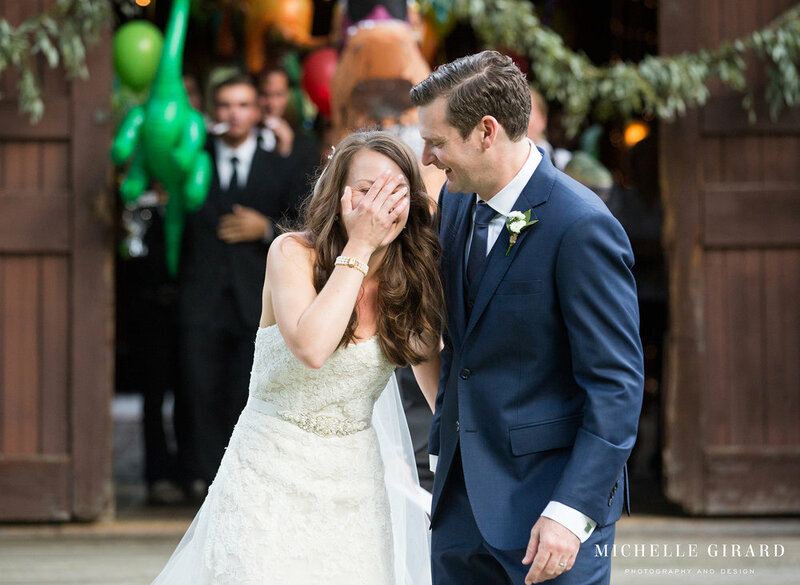 Mike surprised Lexie with a Jurassic Park themed parade right at the end of their wedding ceremony. 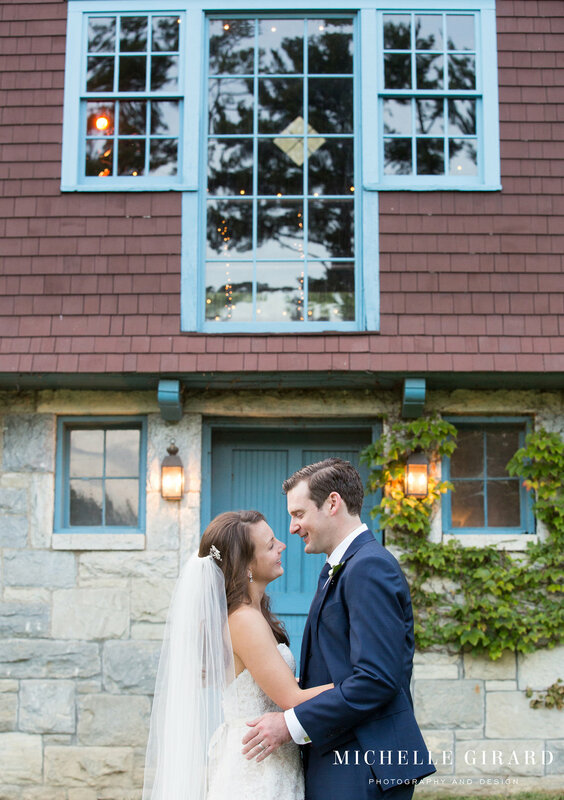 Just after they were officially pronounced husband and wife and had kissed, the doors to the barn at Stonover Farm flew open. A T-Rex holding a conductors wand walked out followed by staff members who quickly handed out balloons and inflatable dinosaurs to guests. Their musically talented friends and family were in on it too! As Lexie and Mike came down the aisle the 'band' stood, holding the instruments that had been tucked away beneath the benches, and started to play a lively song fit for a parade! Other guests were given noise makes before the ceremony to sound too. Lexie's reaction was absolutely priceless! It was so incredible to watch. She burst out laughing and you could just feel all of the joy and love in that moment. 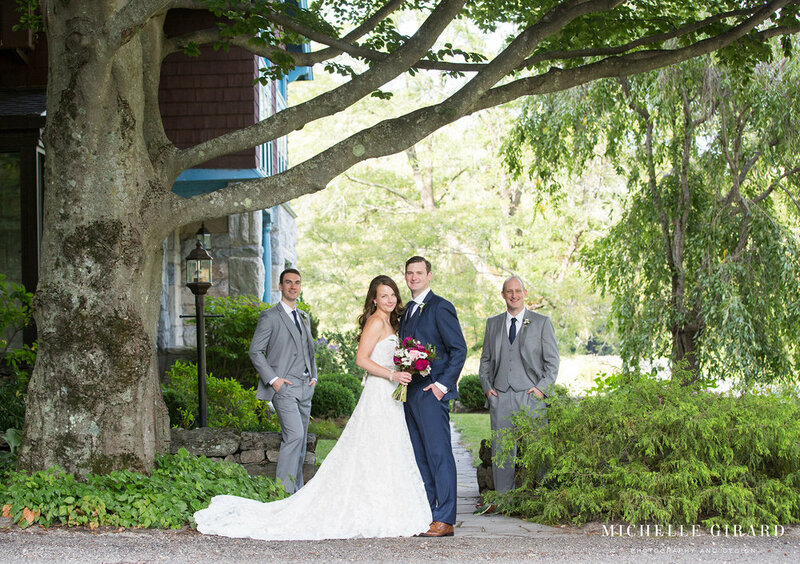 You could see how happy Mike was to have been able to surprise Lexie with her very own wedding day parade. 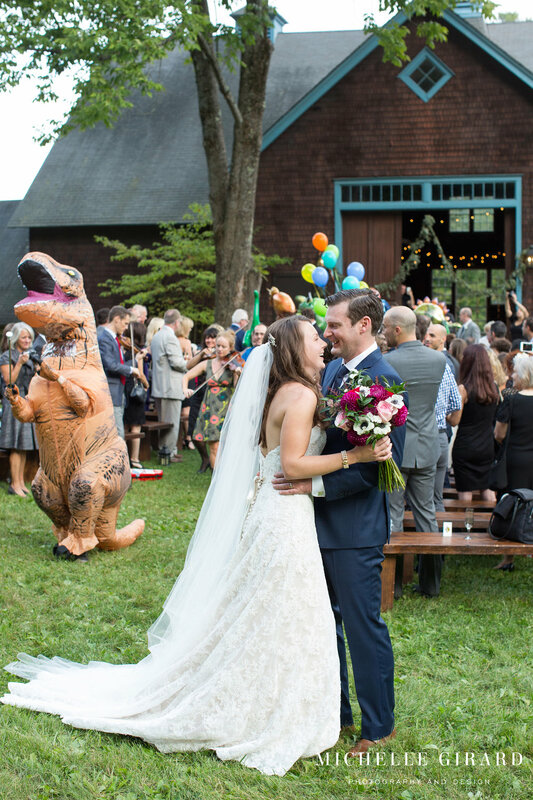 And as Lexie and Mike made their way toward cocktail hour, the T-Rex band conductor followed behind, leading their parade of wedding guests!